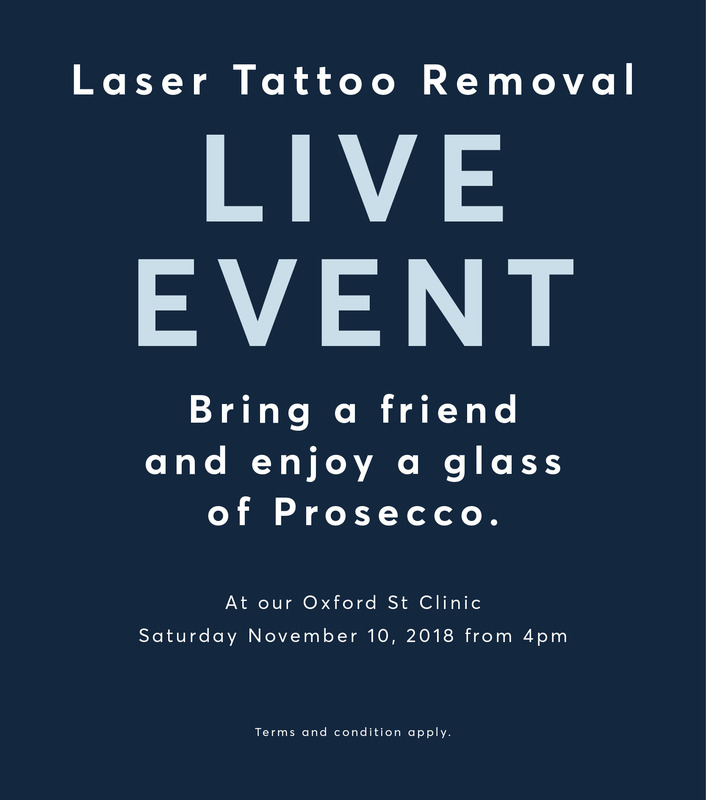 Tattoo Removal Oxford Street Prices - Finance Options available.0 % Interest Free. Tattoo removal is defined as any method of removing a tattoo from the skin. There is a wide range of tattoo removal methods out there including dermabrasion (scrubbing off layers of the skin), TCA (which is an acid which removes layers of skin), excision (cutting the tattoo out) and of course laser (using energy to break down the ink particles. The newer PicoSure/PicoWay tattoo removal lasers use photo-mechanical principles as opposed to photo-thermal alone, combined with ultra-short pulses, called pico-seconds (one trillionth of a second) to shatter the ink into minute particles which your body then eliminates itself. This powerful process means the whole tattoo can be erased in as little as 3-8 treatments. Requiring less heat and less energy means that the surrounding tissue is left unharmed and the space between treatment can be much shorter too. it is also effective on all colours, including those greens and blues!